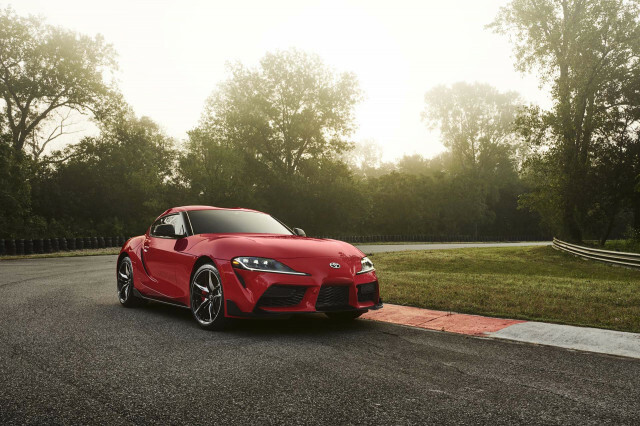 No, the 2020 Toyota Supra will not be offered with a manual transmission or the rumored 255-horsepower 2.0-liter turbo-4 engine when it launches in the U.S. However, there’s reason to remain hopeful that both will find their way to the U.S.-spec car. “At launch for first model we’re all inline-6 all the time. Then we’ll look at the life-cycle after that,” Ben Haushalter, senior manager of product planning for sports cars and CUVs, told Motor Authority at the 2019 North American International Auto Show in Detroit on Tuesday. 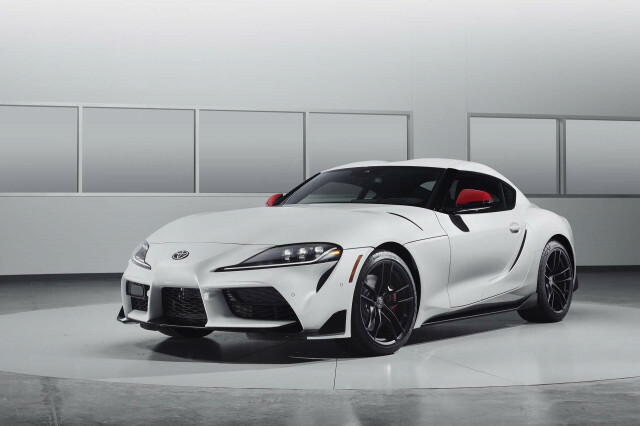 Haushalter confirmed the horsepower figures published to Toyota Japan’s official website, which shows two additional turbo-4 powered variants of Supra aside from the 3.0-liter inline-6 powered car. Japan will be treated to a Supra SZ with 194 horsepower and 236 pound-feet of torque, and an SZ-R trim with 255 hp and 295 lb-ft of torque. The less-powerful version will sprint from 0-62 mph in 6.5 seconds, while the extra oomph in the SZ-R shaves the 0-62 mph time to 5.2 seconds. Keep in mind, these are Japanese specs, and the numbers could change for other markets. We learned last July that Toyota planned to offer a turbo-4 engine, sourced from BMW. 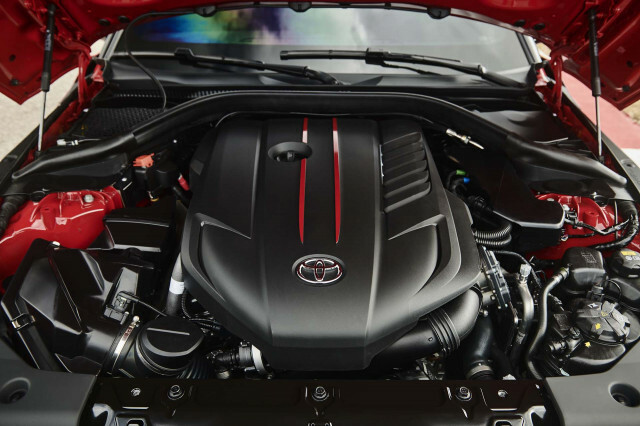 The Supra’s chief engineer, Tetsuya Tada, confirmed the variant and noted it will be the powertrain of choice for those itching to swap in a 2JZ inline-6 engine, the hallmark powerplant from the fourth-generation Supra. The same report claimed BMW’s B48B20 2.0-liter turbo-4 would serve the Supra, albeit with 262 hp, and an 8-speed automatic transmission. 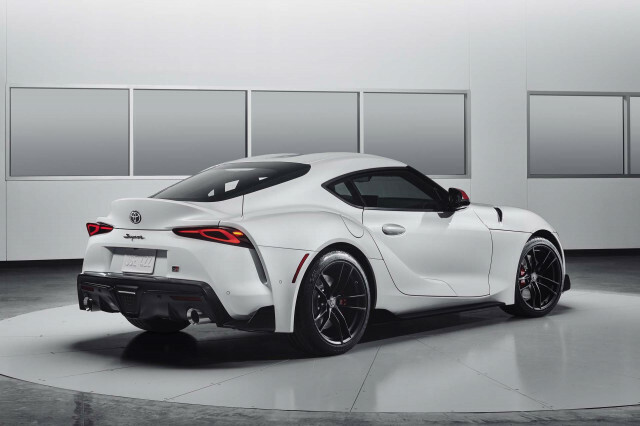 However, Toyota spokeswoman Nancy Hubbell also told MA the current take-rate for the brand’s 86 sports car with a manual transmission is 40 percent, which could help build a business car for a Supra fitted with a stick shift. It’s worth noting the Toyota 86 is an entry-level sports car that retails for under $30,000, while the Supra is far more premium. Bottom line: only the voices of potential buyers will convince Toyota to bring a manual to market. The first Supras in the U.S. will come with a turbocharged inline-6 engine via BMW good for 335 hp and 365 lb-ft of torque—enough to send the car from 0-60 mph in 4.1 seconds. Trims are divvied up as base 3.0, 3.0 Premium, and a Launch Edition. The first 1,500 Supras will be Launch Editions and start at $55,250, likely minus a destination charge around $900. The least expensive point of entry for an inline-6 powered Supra will be $49,990 for base 3.0, again probably without destination. It remains to be seen how a turbo-4 model or manual transmission option would affect the Supra’s price point, but we imagine the latter would please many a purist. Facebook Rolls Out 'Disputed' Tag For Fake News On Social Network: How Does It Work?